The school holidays are a great time to escape to Bangalay with the family. Spend your days enjoying the picturesque surroundings and savouring your precious time together. 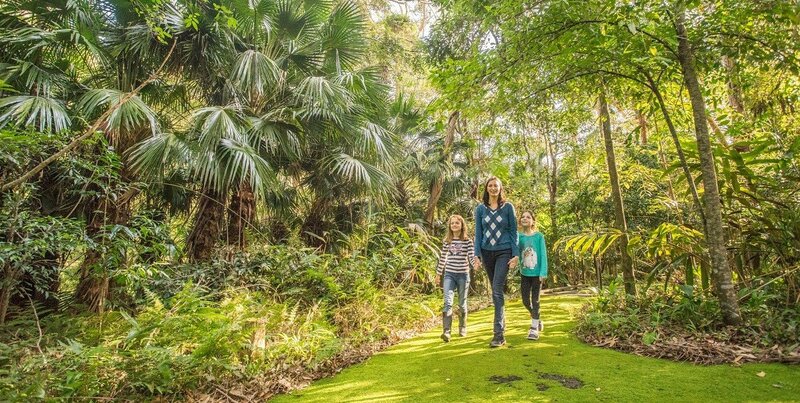 Whilst the Shoalhaven and South Coast is famous for its beaches, there is so much more to discover, with attractions and activities on offer to keep all of the family satisfied during your holiday. Read on for some South Coast school holiday activities for kids which will leave them raving about their school holidays at Bangalay. 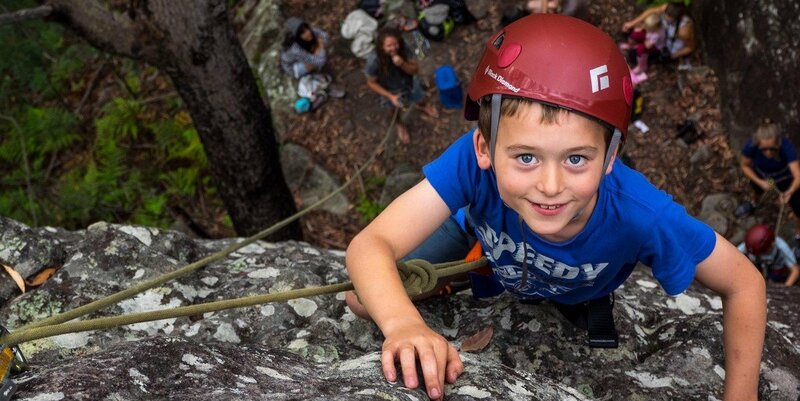 Kids’ Day Camp at the Berry Sport and Recreation Centre encourages kids to get up and get active, with many exciting activities and games held over the course of each day, the day-camp will foster new friendships and a reconnection to nature. The activities are also designed to encourage kids to step outside of their comfort zone and they will be buzzing with adrenalin after they have conquered their fears. Lunch is included each day, and old clothes are advised as things can get messy! Private transport to and from the venue is required each day. Activities may include the climbing wall, challenge ropes course, canoeing, kayaking, swimming, tennis, basketball, archery, bike-riding, flying fox or a cookout. The Fleet Air Arm at Albatross is run by the Royal Australian Navy, and is located next door to HMAS Albatross. The museum spans two storeys and features a flying simulator, many aircraft displays, souvenir shop, function centre, theatre and an airfield viewing platform. The Museum is open 10am to 4pm seven days a week except for New Year’s Day, Good Friday, Easter Monday, Christmas and Boxing Day. The museum’s verandah looks out over the historic airfield at HMAS Albatross which gives you front row seats to the comings and goings of the aircraft passing through. The cost is $10 per adult and children under 16 are free. Open daily between 10am-4pm, the museum houses the historic Lady Denman Boat which in its heyday, travelled the waters of Sydney taking passengers to and from Circular Quay to various locations around Sydney. The Museum grounds feature a large, tidal fish enclosure, which is an important habitat for fish in the surrounding estuary. There is fish food available to purchase at the viewing platform for a dollar and the kids will love seeing the fish splash around, racing each other for a bite to eat. Alongside the pond, there is a boardwalk which winds it way past the pond, through the mangrove forest and up to a viewing platform on the edge of Currambene Creek. There are many crabs which call this place home and the elevated platform allows you to travel over the mudflats, watching the crabs scuttle below whilst abundant birdlife call out overhead. Pack a picnic lunch and enjoy it in the grounds before a walk through the onsite native gardens, or pop into the Huskisson township for some fish and chips down by the water. There are so many playgrounds for the kids near Bangalay in Shoalhaven Heads. Just near the entrance to Bangalay Dining and on the grounds of the Surf Club is the closest playground, whilst the playground along the riverbank on the northern end of River Road also features a great footpath along the foreshore, so the kids can bike ride and then have a play at the park – there is great fish and chips just up the hill at Table Talk café. In Celia Place, the Native Botanic Gardens are a beautiful setting to explore, with a winding walk through the gardens showing off an incredible display of native plant species. There is a quiet park with plenty of space for the kids to run around here also, as well as public toilets. Get the kids into the Easter spirit by booking them into a chocolate making workshop at The Treat Factory in Berry. A little like the Wonka Factory, but without the Oompa Loompa’s, the kids will get to see the workings of the treat factory and don the hair caps to create their own chocolate magic. There is a store here filled with delicious treats all made onsite at the factory, including chocolate, sweets and an amazing range of spreads, sauces and jams just bursting with incredible flavours. 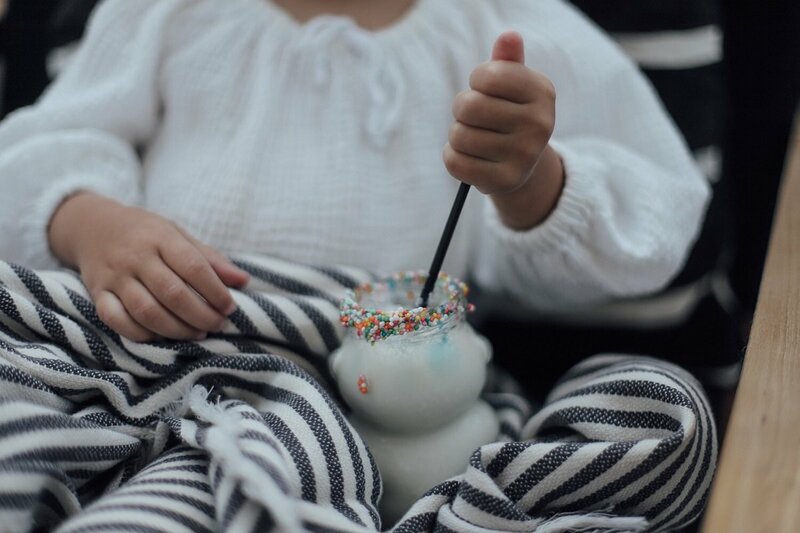 After the chocolate workshop, head next door to the Dairy Bar and take a spot at the bar, watching the cows make their way across the lush fields as you sip on a milkshake made with milk from the South Coast Milk factory next door and breathe in the fresh country air. A real laid-back country experience. Our team can arrange babysitting for you during the holidays so you can enjoy a nice meal together or take off on a hike whilst the kids are kept entertained, just contact us with your requirements. Bundanon Trust is located on the picturesque banks of the Shoalhaven River a short drive from North Nowra. Bundanon Trust was gifted to the nation in 1993 by famous artist and Shoalhaven local Arthur Boyd. 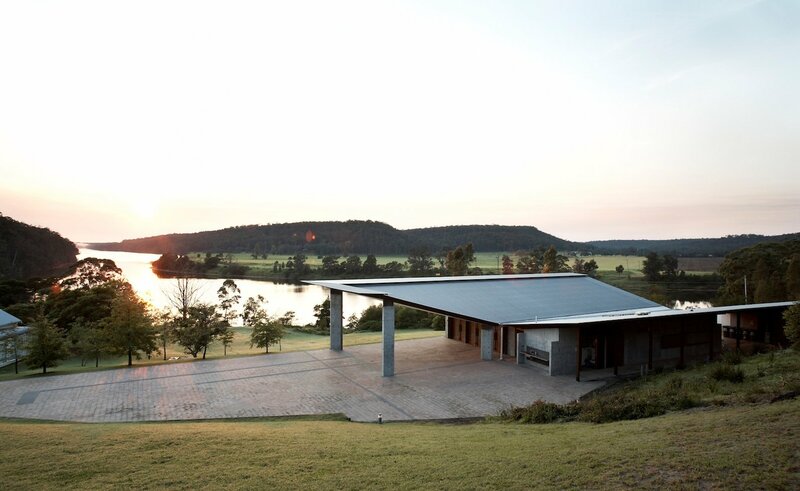 There is also Riversdale on the adjacent property, which houses an education centre and offers artist residencies. Bundanon hold great live music events regularly, where you can take a picnic blanket and some wine and nibblies, enjoying an evening on the hill overlooking the Shoalhaven River while listening to great tunes from famous musicians. We can help you with travel arrangements and a bespoke picnic hamper so you can just relax and enjoy the serenity. Open for viewing every Sunday 10am-4pm, you can also arrange a private tour prior to arrival. There’s no better feeling than exploring our gorgeous area by horseback. 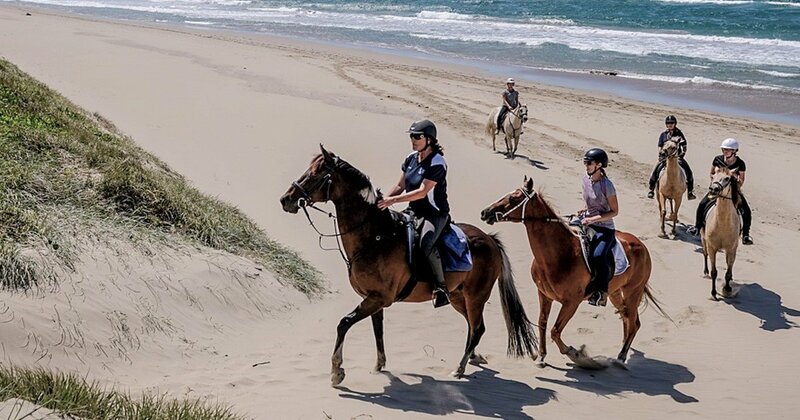 Regal Horseriding School is based just on the outskirts of Shoalhaven Heads and is a great way to see Seven Mile Beach from a different perspective – on horseback! Monique is a lovely host and will take your group from the Horseriding School, along the fringe of Seven Mile Beach National Park and onto the beach and back, all the while making you all feel at ease and ensuring you have a great and safe time on your horsey adventure. A definite holiday highlight for the kids! 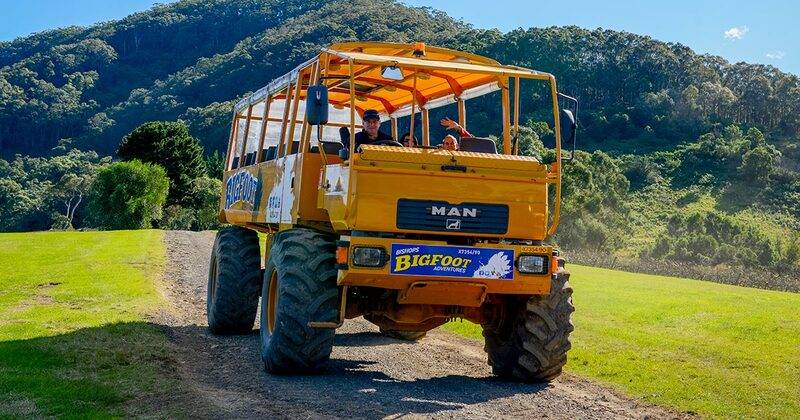 Climb aboard ‘Bigfoot’ a bright yellow custom-built tractor which through the grounds of Coolangatta Estate and then travels up to the summit of Coolangatta Mountain, where you can look out over the picturesque South Coast. Stop on the viewing platform before travelling back down the mountain. Be sure to pop in to the cellar door to sample some award winning wines from Coolangatta Estate afterwards. 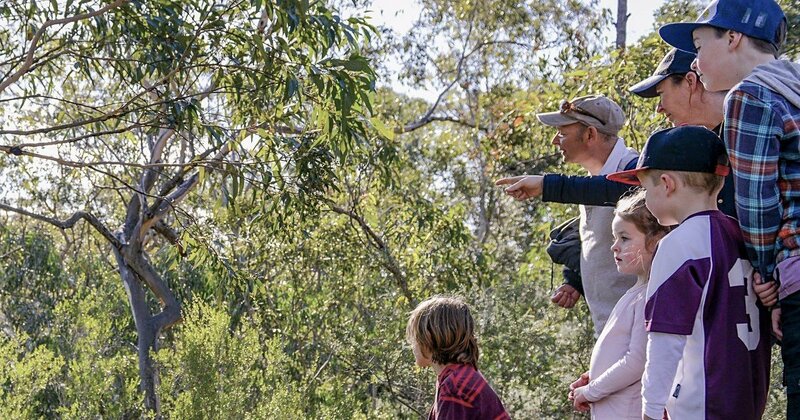 Featuring lots of bush tucker, along with a vast array of vegetation types, the self-guided walk features the towering sandstone cliffs of Bomaderry Creek gorge, cool forest and stunning wildflowers in Spring. It’s only a short distance from the Princes Highway, yet the Park feels a million miles away from civilisation – this walk is a hidden gem and only a short drive from Bangalay. Booderee is home to one of Australia’s most stunning national parks. The crystal-clear waters of Jervis Bay meet the beautiful white sand beaches, whilst the high cliffs and historic relics overlook the ocean below. Booderee National Park is home to incredible native wildlife and features expansive botanic gardens. A day pass is required and are available for purchase at the entrance gate. The pass is valid for two days and you will need it to see all there is in the park! Guided walks are available, get in touch with Booderee for more information. Starting at Greenfield Beach picnic area, this short walk passes through the white sandy beaches and coastal forest by the shores of Jervis Bay. Stop for a swim, and try to spot birds and dolphins along the way. The walk takes from 30 mins to 1.5 hour, depending on your pace. 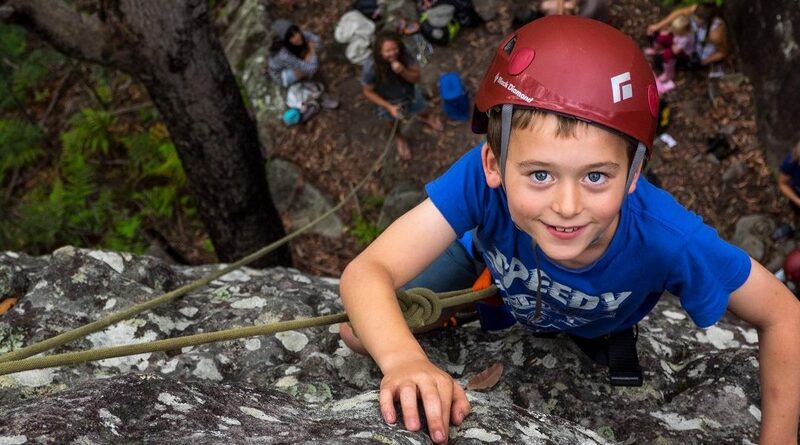 Outdoor Raw offer your little adrenaline junkies a heart pumping experience which includes rock climbing sessions and their signature cliffnic experience (picnic on a cliff). Outdoor Raw offers guided climbs for all skilled levels and are held in various location throughout the Shoalhaven. One of the best ways to get out and experience the local waterways is by kayak, where you can just sit back, float along the riverbank and listen to the birdlife calling, the fish jumping and the insects humming. It really is a beautiful natural orchestra! Explore the river at Shoalhaven Heads and see lots if birdlife, or cruise nearby creeks. Hop in the car and take your kayak out into Jervis Bay or the ocean, depending on your skill level. 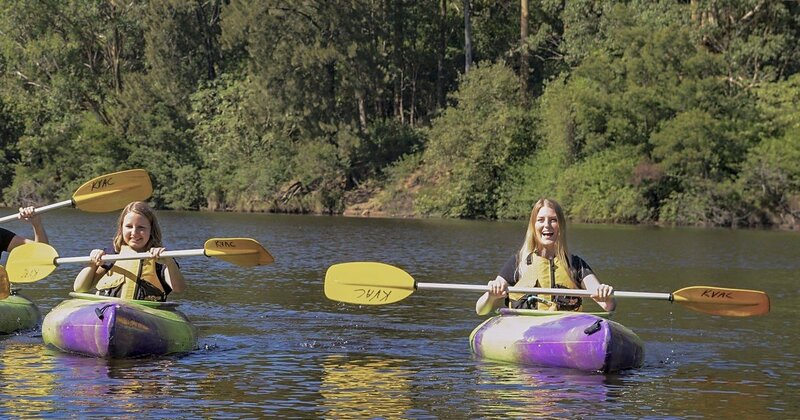 Kangaroo Valley Safaris can create a custom itinerary and guide participants on day trips along the Kangaroo and Shoalhaven River, an experience the kids will remember forever. We share a border with the Shoalhaven Heads Gold Course. The course is bounded by Coolangatta Mountain in the west and Pacific Ocean in the east. Show your kids the ropes and play a round of the 18-hole golf course in the morning, and return to Bangalay for a swim and some lunch afterwards. 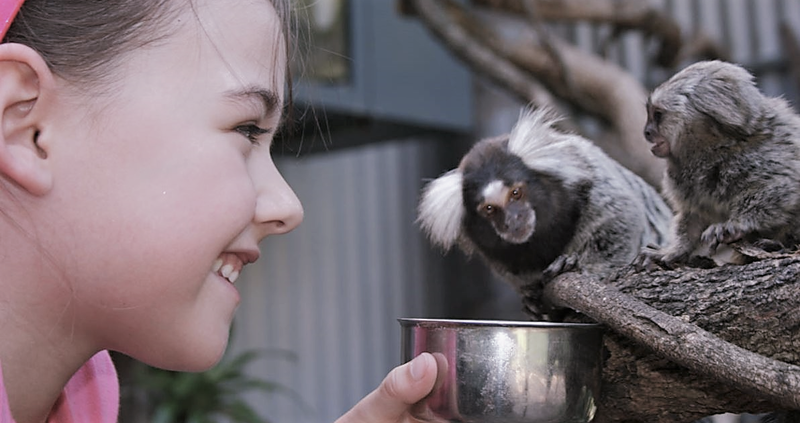 The Shoalhaven Zoo, nestled between the cliff and the Shoalhaven River in North Nowra is a delight for all ages. Take a wander around and the exhibits and get up close and personal during the zoo’s daily shows. You can also book a VIP Encounter where you will have the chance to meet gorgeous wombats, come face to face with a lion or four, meet the elusive Maned wolves, monkey around with the cheeky marmosets and so much more. Our favourites are the lions and the marmoset monkeys. Relax with a bite to eat on the verandah of the café looking over the river after all of those animal antics! 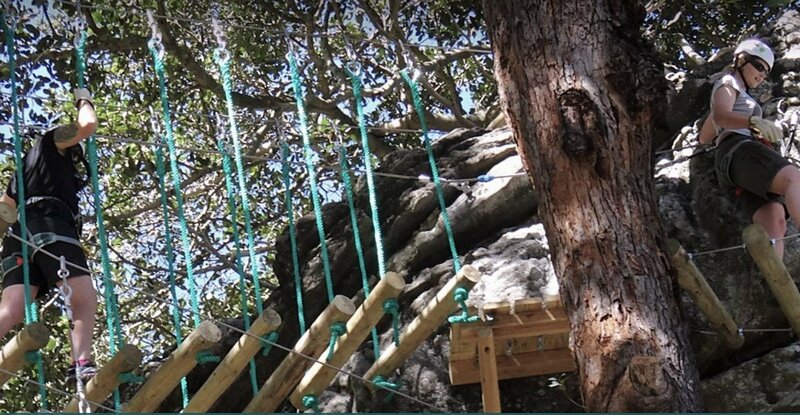 Located towards the western end in the grounds of Shoalhaven Zoo, the Trees Adventure takes tree climbing and dials it up a notch! Watch the zoo animals far down below from the tallest of trees. Whizz through the air on the flying foxes between elevated platforms before scrambling along the cliff face which line the banks of the Shoalhaven River. A 2.5-hour session includes gearing up, training and climbing through the variety of aerial challenges. Check-in is 15min prior to go over safety aspects and instructions. There is nothing more thrilling than seeing these beautiful creatures up close and swimming alongside the boat as you watch on in delight. 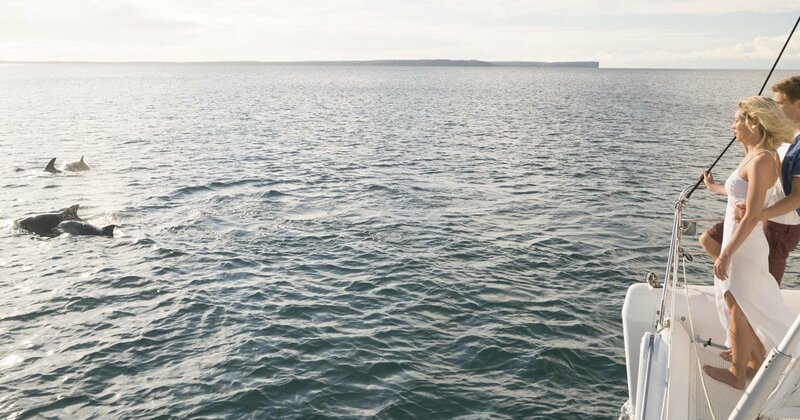 The Bay is home to lots of pods of bottlenose dolphins, who love the calm waters of the Bay, raising their little ones and playing host to the migrating whales on their way up and down the coast during migration. A firm school holiday favourite! There are so many options for the budding fisherman at Bangalay. You can throw a line in just metres from the villas on Seven Mile Beach, beach fishing is a hugely popular pastime here, with bream, flathead and whiting being caught regularly from the shore. 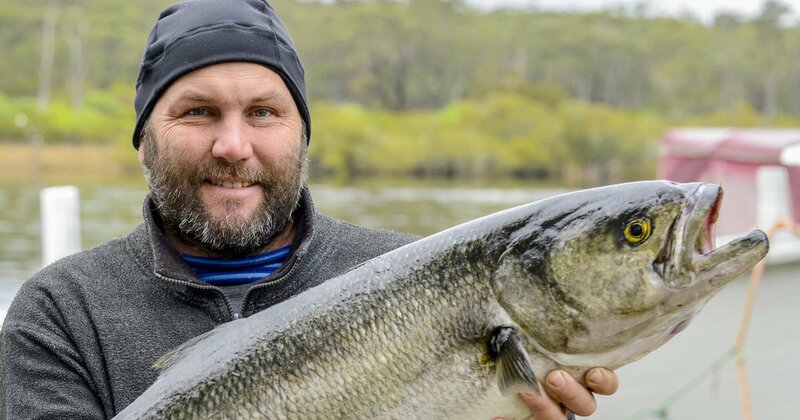 You can also wet your line down at the river, either along the pontoon on the northern end of River Road towards the beach, or at the jetty, which is further south towards the end of River Road. If you’ve got a keen angler on your hands and a boat, 35 minutes from Bangalay at St Georges Basin, near Huskisson is a great place to catch dusky flathead and big bream in the calm waters. If you’re after a marlin or dolphin fish, you can venture out to the cliffs off Currarong where the swell is huge but the rewards are bigger! Surf Camp Australia will have your little grommets up and riding the waves in no time. Nothing beats the big smiles and excited tales from their surfing trip. Surf Camp can pick you up from Bangalay and take you to nearby Gerroa, a seven minute drive away. Gerroa is one of the best beaches to learn to surf in Australia, offering perfect conditions for beginner surfers most days of the year. The teachers are patient and skilled, ensuring all of the basics are covered before heading into the waves and they have an amazing success rate at teaching people to surf. With the beach only a few hundred metres away from Bangalay, swimming and beach walks are a great way to enjoy Seven Mile Beach at Shoalhaven Heads. 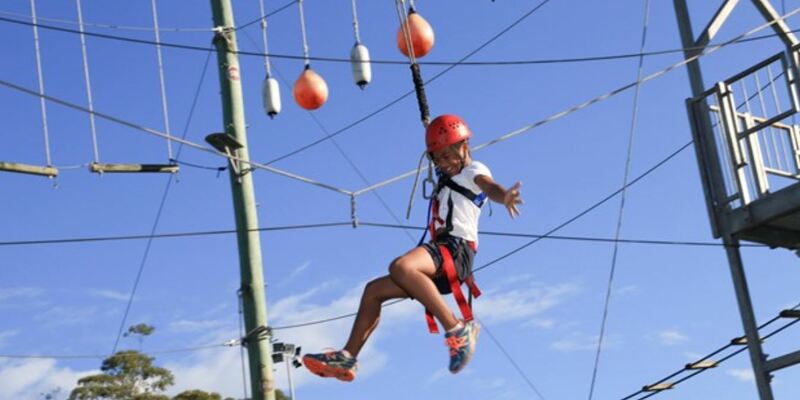 Jamberoo Action Park has long been a favourite way for kids to spend their school holidays. With an ever expanding range of rides and activities, the 40 hectares of gardens provide a beautiful backdrop to the crazy fun of the water activities and attractions. There is something for all age groups, so all members of the family will have a ball, be sure to get there early as it will take a full day to experience all of the fun activities on offer! Visit their website for more information about the park and rides. This list is only the beginning, if you are looking for fun school holiday activities on the South Coast, there is a myriad of attractions close by to Bangalay to keep your kids happy and busy over the school holidays.